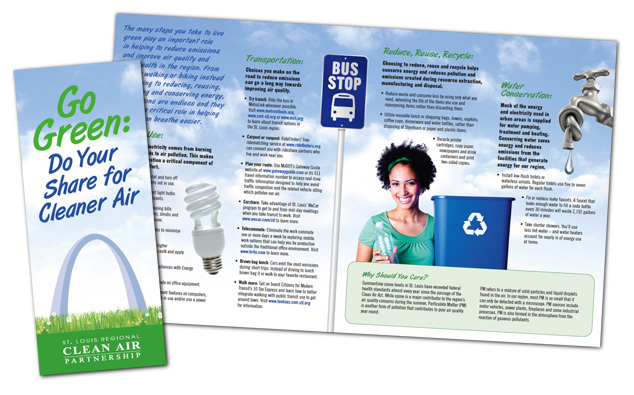 Here is a brochure we designed for the St. Louis Regional Clean Air Partnership (SLRCAP). It provides information and tips to help St. Louis improve its air quality. St. Louis’ air quality forecasts resume in May, so Do Your Share for Cleaner Air! Visit www.cleanair-stlouis.com to learn what you can do to make a difference. SLRCAP is brought to you by the American Lung Association. P.S. We also designed the website.